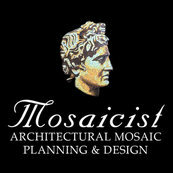 My wife and I wanted a glass tile pool for our newly constructed home, and Ray Corral at Mosaicist made it happen. Super happy with the service I received from beginning to end. The team always showed up on time, I never had to be on top of them to finish on our deadline. Hired company to completely tile my pool w glass mosaic. Very professional installation. My pool is a work of art.